RIP Brooke Baldwin. 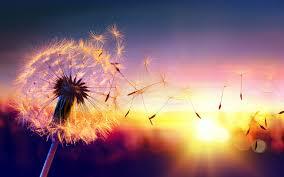 Like the seeds of the dandelion you so loved, you have sown your memory in many hearts. Your friends will miss you terribly. We will pray God comforts your family. Today, I lost my best friend. Mom flowed with words. It's what she did. My favorite poet. I'm not going to attempt to be as eloquent as she. I will let her speak for herself. at the break of a brand new day. of all I've come to know. to each person I have met. © Copyright 2019. Ideasaregems-Dawn All rights reserved. Ideasaregems-Dawn has granted FanStory.com, its affiliates and its syndicates non-exclusive rights to display this work.